Lawrence T. Babbio, Jr. was the vice chairman and president of Verizon until his retirement in April of 2007. He was responsible for the Verizon Telecom and Verizon Business units. He was also a member of the board of directors of Verizon Wireless. Mr. Babbio began his communications career in 1966 with New Jersey Bell Telephone. He served in a variety of positions in engineering, network construction, and technology development with New Jersey Bell and AT&T. In January 1995 he was elected vice chairman of Bell Atlantic Corporation. Prior to the Bell Atlantic/GTE merger, Babbio was president and chief operating officer for Bell Atlantic. He shared oversight of, and responsibility for, all of the corporation’s business operations, restructuring of the business units, the GTE merger process, and developing new growth opportunities. Mr. Babbio also served as chairman of the company’s Global Wireless Group, one of the largest wireless operations worldwide. He was the lead executive in charge of developing Bell Atlantic’s domestic and international wireless communications strategy. Under his leadership, Bell Atlantic substantially increased the size and scope of its domestic and international wireless holdings. After retiring from Verizon in 2007 he became a Senior Advisor for Warburg Pincus until March, 2012. He has served on the board of ARAMARK Corporation since 1999. Babbio also serves as chairman of the Board of Trustees of Stevens Institute of Technology and also serves on the board of the Wallace Foundation. He holds a B.E. in electrical engineering from Stevens Institute of Technology, and an M.B.A. from New York University. Jean-François Dubos is currently Chairman of JFD Associates, a Director of SGH Capital and a Senior Advisor at LFPI Gestion. He served as the Chairman and CEO of the Management Board of Vivendi S.A. from June 2012 to June 2014 and as Senior Executive Vice President and General Counsel and Secretary of the Management and Supervisory Boards of Vivendi S.A. from April 2005 to June 2012. Prior to Mr. Dubos’ work at Vivendi, he was Co-Chief of the Defense Minister Staff from 1981 to 1984. He is an honorary member of the Supreme French Administrative Court of Justice (Conseil d’Etat). In 1991, he joined Compagnie Générale des Eaux, the predecessor of Vivendi, as deputy to the Chief Executive Officer. Mr. Dubos currently serves as the Chairman of the Board of Directors of the Foundation for Continental Law and is a Member of the Board of Directors of the French Scientific Journal, la Revue Française d’Economie. He is also involved in many Arts organizations. Mr. Dubos has been bestowed the Knight of the Order of the Legion of Honor, the Knight of the National Order of Merit, the Officer of the Order of Arts and Letters and several other foreign decorations. Admiral Inman served in the U.S. Navy from November 1951 to July 1982, when he retired with the permanent rank of Admiral. While on active duty he served as Director of the National Security Agency and Deputy Director of Central Intelligence. After retirement from the Navy, he was Chairman & CEO of the Microelectronics and Computer Technology Corporation (MCC) in Austin, Texas and Chairman, President & CEO of Westmark Systems, Inc., a privately owned electronics industry holding company. Admiral Inman also served as Chairman of the Federal Reserve Bank of Dallas from 1987 through 1990. Admiral Inman’s primary activity since 1990 has been investing in start-up technology companies, where he is a Managing Director of Gefinor Ventures and Limestone Ventures. He is a member of the Board of Directors of several privately held companies. He serves as a Trustee of the American Assembly and the California Institute of Technology. He is an elected Fellow of the National Academy of Public Administration. He has also served on the Board of Directors of the Council on Foreign Relations, Dell Computer, Fluor, Massey Energy, Oracle, SBC Corporation (now AT&T), Temple-Inland, and Xerox Corporation. In 2011 he joined the board of directors of Xe Services, formerly Blackwater. 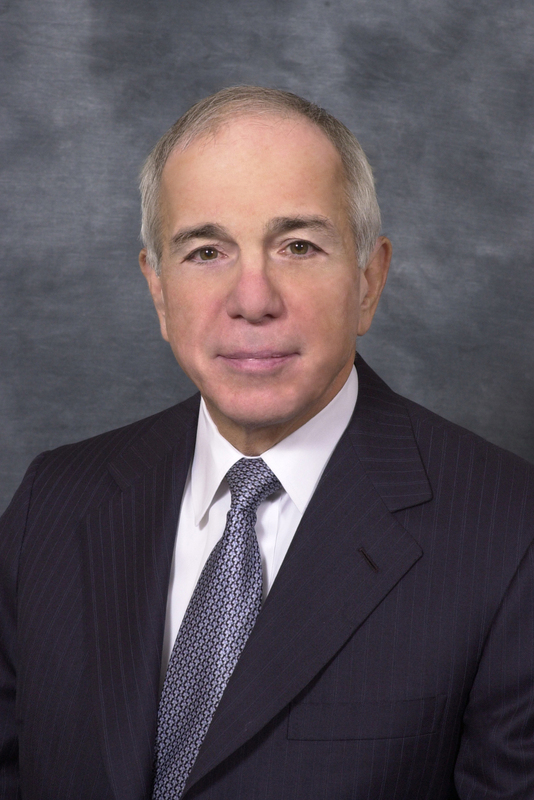 James (Jim) S. Kahan, Senior Executive Vice President - Corporate Development, was responsible at the time of his retirement for all domestic and international mergers, acquisitions, joint ventures and venture capital investments for AT&T Inc. and its subsidiaries. He was appointed to this position at SBC Communications Inc. in October 1999, and remained in the post following the close of the SBC’s acquisition of AT&T Corp. in November 2005 (after the merger SBC changed its name to AT&T Inc.). During this period he reported directly to the Chairman/CEO and was a member of the senior team that established the strategic direction for the firm. Mr. Kahan began his Bell System career with Western Electric in St. Louis in 1967 and held increasing positions of responsibility at Bell Laboratories, South Central Bell, AT&T, and later Southwestern Bell/SBC Communications. He was first appointed an SBC officer as senior vice president - corporate development in 1992, and assumed additional responsibilities for strategic planning and marketing, and development of long-term business growth strategies. During his tenure with SBC, the company acquired many entities including Pacific Telesis (1997), SNET (1998), Ameritech (1999), and the former AT&T Corp. in 2005. He also oversaw AT&T’s acquisition of BellSouth Corp. in 2006 as well as the numerous transactions which formed the basis for Cingular Wireless (later renamed AT&T Wireless). In addition, Mr. Kahan oversaw numerous international transactions for SBC including those in Mexico, Israel, France, South Africa, Switzerland, Canada and others. Overall he has been involved in over $300 billion in mergers, acquisitions and investments. Mr. Kahan currently serves on the Boards of AMDOCS Ltd., an international provider of software and related services to the telecom industry and Live Nation Entertainment, Inc. the worlds largest live music and ticketing company. Mr. Kahan earned a bachelor's degree in electrical engineering from Purdue University and a master's degree in business administration from the University of North Carolina system. Ronald T. LeMay is a pioneer and respected leader in the wireless industry, and has nearly 40 years of telecommunications senior operating experience with companies such as AT&T, Sprint, and Southwestern Bell. Mr. LeMay served as the first employee and CEO of Sprint PCS, the company’s wireless entity, and guided it from start-up to $10 billion in revenue faster than any company in history. His career with Sprint spanned 18 years and he served as President and COO before retiring in 2003. Following that time, Mr. LeMay served as an Industrial Partner with Ripplewood Holdings, a private equity firm. He held the CEO position at Japan Telecom from November 2003 until the sale of the company in July 2004. In 2006, he was named Chairman of the Board for GoGo In-Flight Internet. Mr. LeMay co-founded the venture capital entity October Capital in 1999. It has provided venture capital to more than 15 companies in diverse industry segments. He is also co-founder and managing director of OpenAir Equity Partners, a venture capital and private equity firm focused on the wireless, communications and mobile Internet sectors. Ron currently sits on the boards of GoGo In-flight Internet, Hyla, and MachineryLink. A native of Arkansas, Ron attended Southern Arkansas University, where he earned a bachelor’s degree, and graduated from the University of Arkansas School of Law. Youssef A. Nasr had been with HSBC for 34 years when he retired in March 2010. He had been assigned to the position of Chairman & CEO, HSBC Bank Middle East Limited in May 2007. He also had been responsible for broadening the Group’s shareholder base as Group Managing Director for Strategic Investments, a position he took over in October 2006. Mr. Nasr joined HSBC in 1976. He was the President of HSBC Bank Brazil from November 2003 to September 2006 while being responsible for HSBC Group’s business in South America. Prior to that, he was President & CEO of HSBC Canada, from 1997 to 1999, and President & CEO of HSBC USA Inc. and HSBC USA from 1999 to 2003. Mr. Nasr currently serves as an Independent Director on the board of Brookfield Asset Management. He has degrees in Mathematics from Cambridge University and an MBA from Harvard University. Senator John Sununu cut a unique path from the private sector to public office, serving for three terms in the House of Representatives and for six years as the youngest member of the United States Senate. Before entering public service, Sununu worked for emerging high-tech firms as an engineer, strategy consultant, and a Chief Financial Officer. In Congress, he put his expertise to work for the country, serving on Senate committees such as Commerce, Finance, Banking, and Foreign Relations. A one of the few members of Congress with a technical background, Sununu rose quickly to earn a seat on the House Appropriations Committee and serve as Vice Chairman of the Budget Committee. During his term in the Senate, Sununu provided leadership in areas of finance and technology, figuring prominently in debates addressing funding for the National Science Foundation, telecommunications policy, and medical information technology. In the Senate, John Sununu took a lead role in pressing for regulatory reform, writing legislation to reign in the risk-taking at Fannie Mae and Freddie Mac that was signed into law in 2008. He led the effort to protect the Internet from regulation, and negotiated a seven-year ban on Internet taxes. He was the author of the New England Wilderness Act, as well as legislation that ensured better protection for civil liberties under the PATRIOT Act. From 2008-2009, Sununu served as a member or the Congressional Oversight Panel for the $700 Billion Troubled Asset Relief Program. He currently serves on the Board of Directors for Time Warner Cable and Boston Scientific, a leading manufacturer of medical devices. Senator Sununu also serves as the Co-Chair of Broadband for America, a 300-member organization focused on broadband investment, deployment and access. He is a contributing editor for Bloomberg News, and writes a weekly column for the Boston Globe. He has traveled extensively in the Middle East and Central Asia, leading delegations to monitor the Palestinian Presidential elections in 2005, and the Lebanese Parliamentary elections in June 2009. He served on the Mid-East Working Group at the U.S. Institute for Peace, and is a member of the Council on Foreign Relations. Senator Sununu holds BS and MS degrees in Mechanical Engineering from the Massachusetts Institute of Technology and a MBA from Harvard University. He and his wife Kitty have three children.